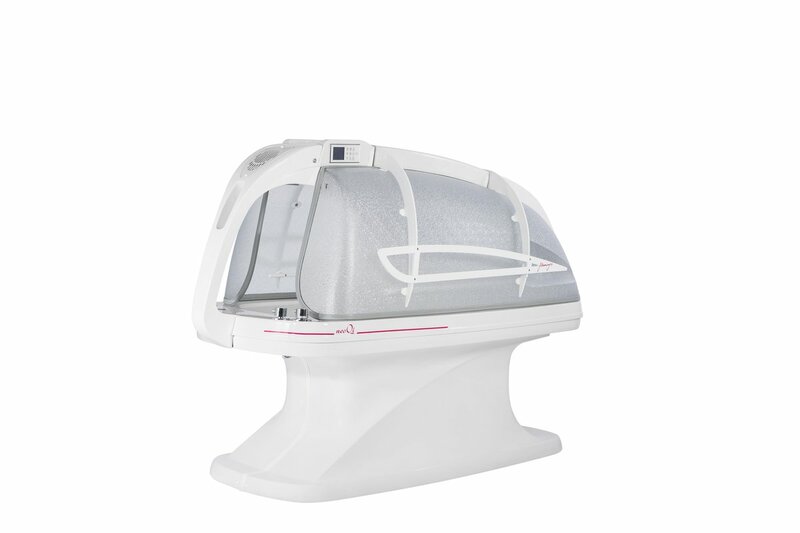 The name of the Flamingo energy cocoon derives from its unique hood construction, which allows to open its elegant clear doors separately, ensuring the maximum comfort during the treatment, both for the client and the therapist. 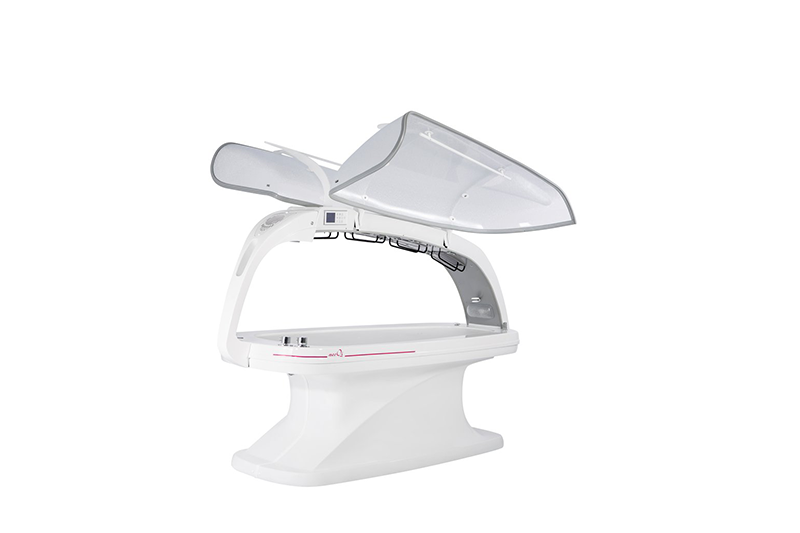 With its wings opened, the SPA-capsule resembles the beautiful and graceful flamingo bird. 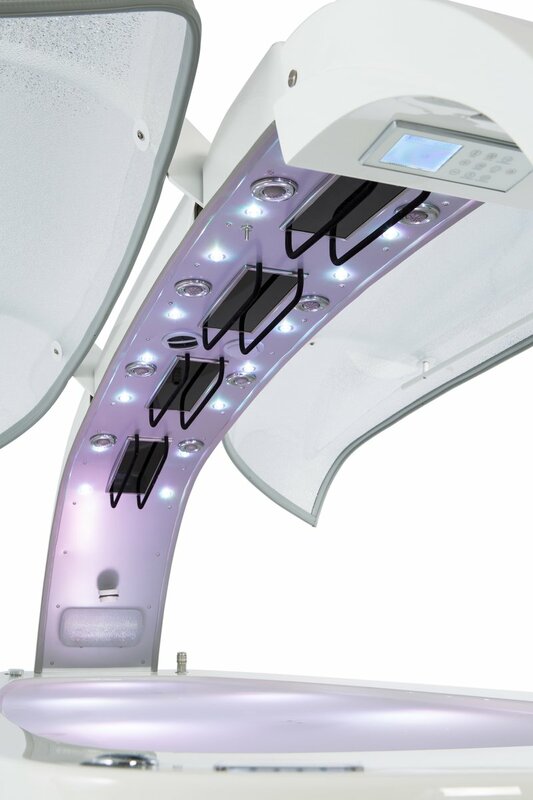 Individually chosen programs are key to vivid results and complete satisfaction of the treatment. 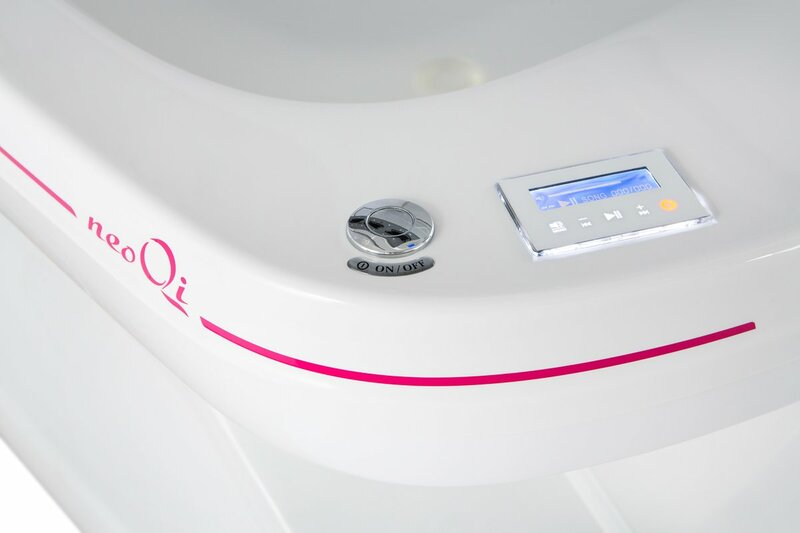 The combination of classic SPA rituals with the functions of the cocoon enables us to offer our customers the most popular and effective treatment programs for weight loss, cellulite reduction, body contours shaping, relaxation and rejuvenation. 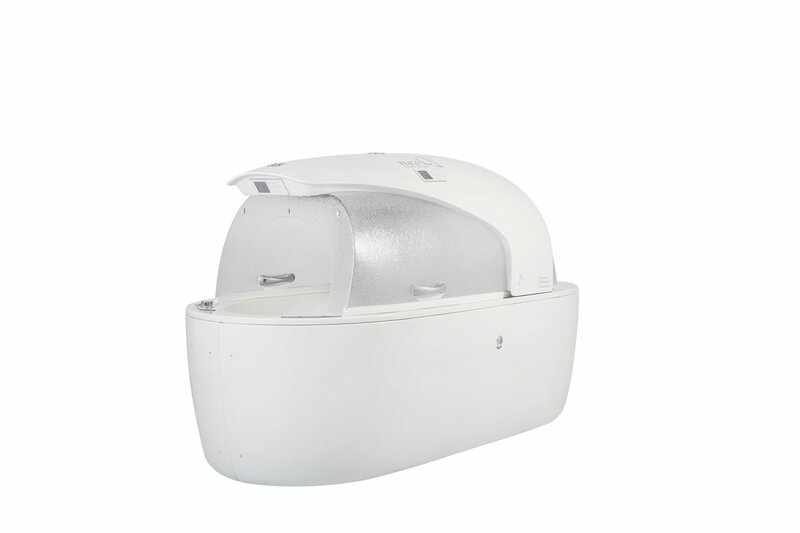 Thermal treatment (steam and/or infrared sauna). 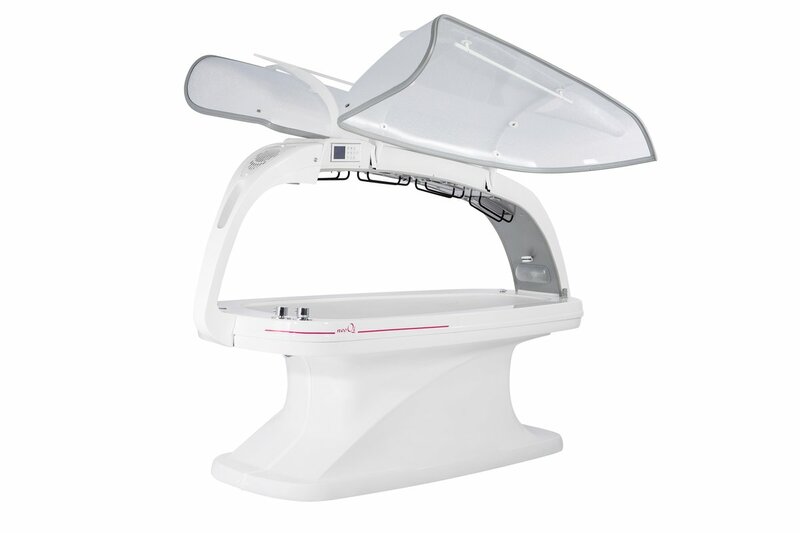 The Flamingo SPA- capsule offers the opportunity to enjoy the healing properties of thermotherapy. Steam and infrared saunas affect the body with a mild heat, caressing the skin with warm fog and thoroughly warming up the whole body. Steam session helps to achieve the best results in skin care, due to the penetration of minerals and vitamins into the upper layers of the dermis. 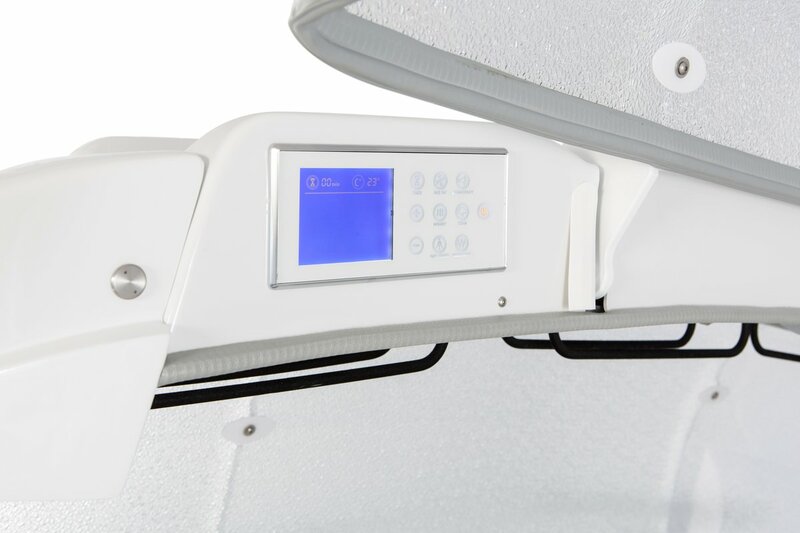 Infrared warmth triggers the detoxification process, relieves pain and muscle tension. 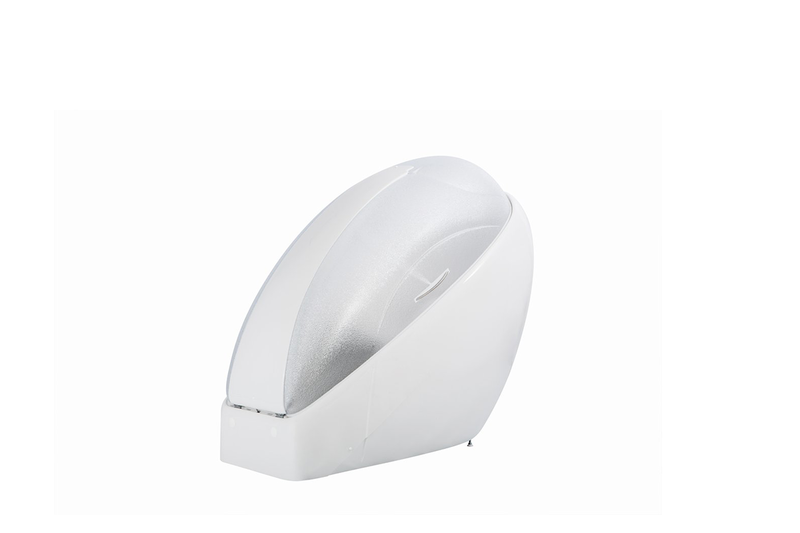 The body profoundly relaxes under the combination of comfortable temperature and humidity. 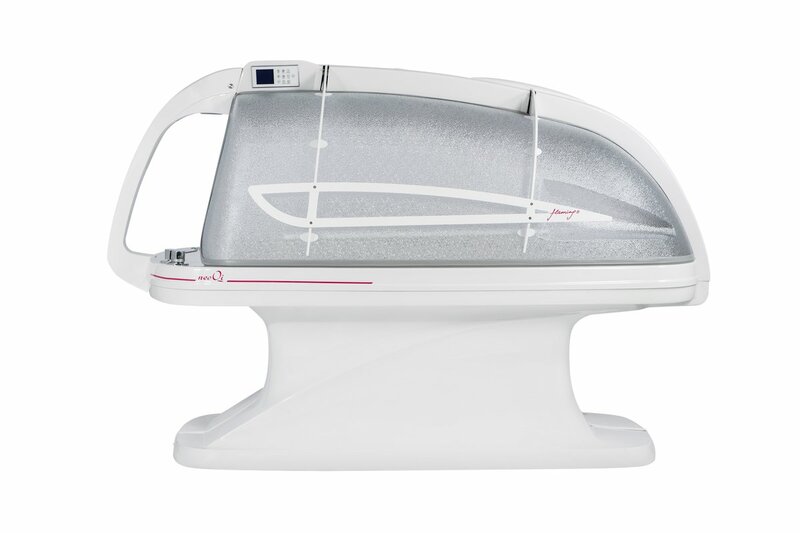 The SPA-capsule Flamingo uses new generation infrared lamps – the customer feels the pleasant warmth immediately after activating the function. Vichy shower/hand shower for body. 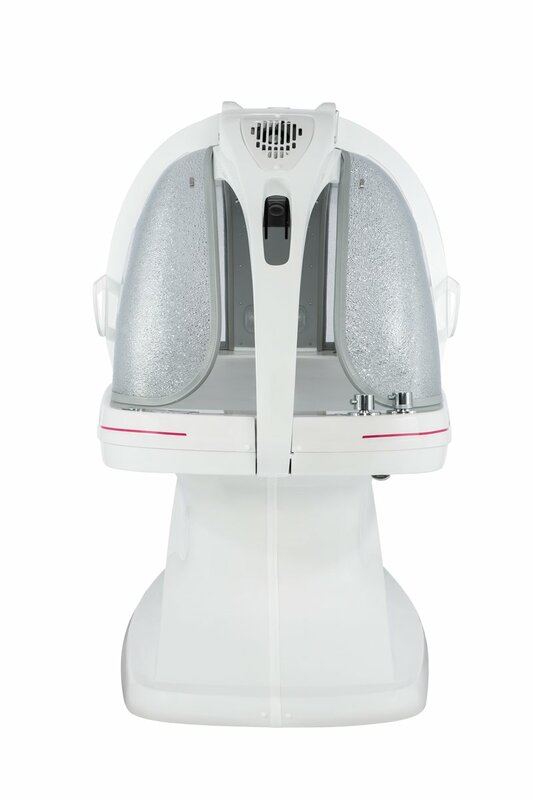 In order to widen the spectrum of possible treatments, we increased the capacity of the Vichy shower. 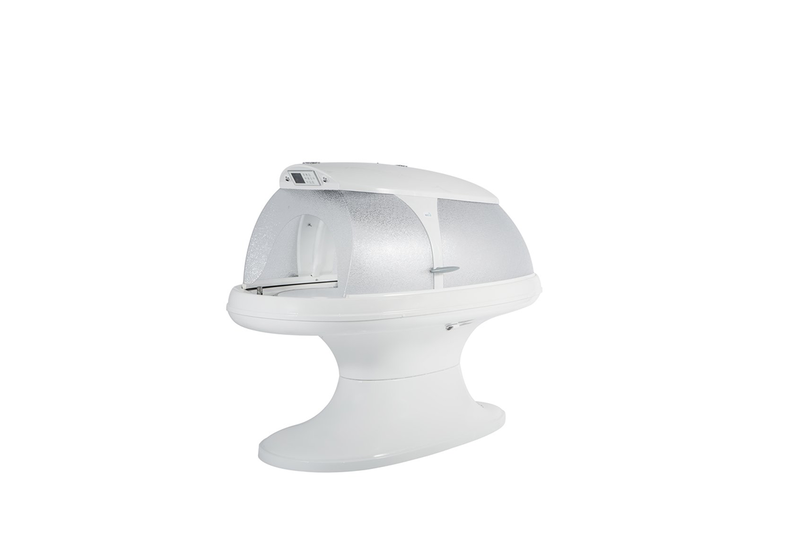 The cocoon is equipped with a switch for adjusting the temperature and the pressure of the Vichy shower. 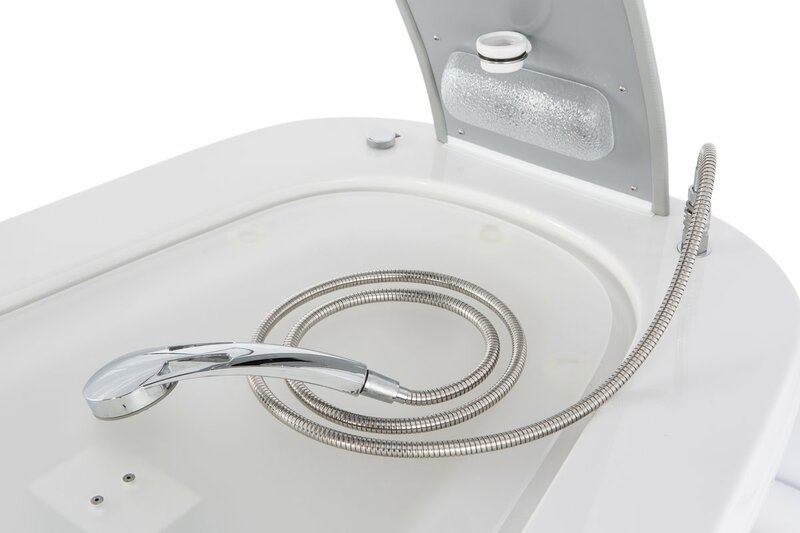 The special shower system refreshes, invigorates and completely relaxes the body. Depending on the selected mode, you can either shape the body contours, start up the rejuvenation process, treat cellulite and seasonal depression. Oil massage. Any kind of massage can be performed on a comfortable and ergonomic treatment table of the Flamingo cocoon. 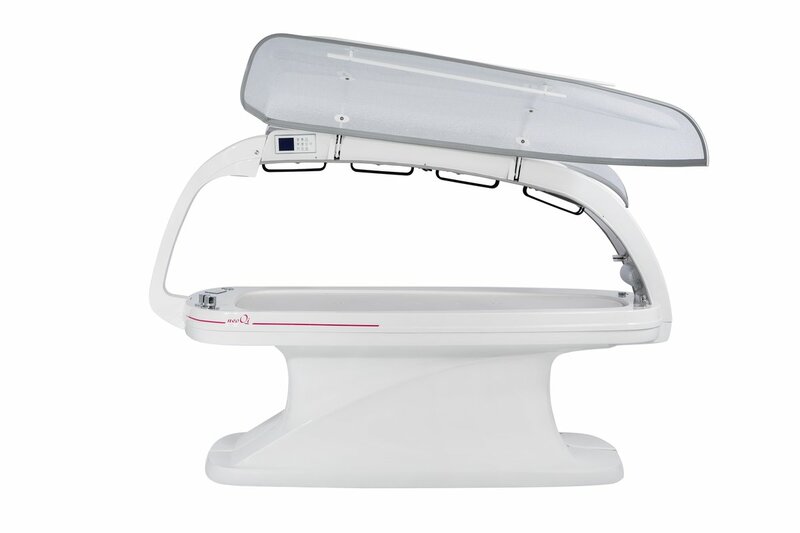 Chromotherapy – is an excellent means, especially for Northern countries residents, to get rid of seasonal depression. The harsh climate and the gray rainy weather stay outside of the SPA capsule. With chromotherapy one can relax and let the imagination carry you away to bright and warm exotic countries, where everything is shimmering with colors and where the sun that we often miss so much, is always shining. Aromatherapy. Fresh and invigorating scents of citrus, delicate flavors or soothing aromas – healing forces of nature help to fight many diseases of body and soul, giving pleasure, relaxation, peace as well as positively affecting the overall health.